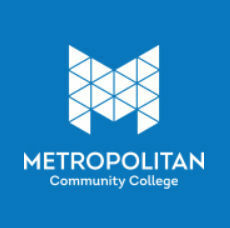 Metropolitan Community College has revealed plans to open its MCC Code School, beginning this fall quarter. The nine-month, 20-hour per week noncredit program will enable students to secure entry-level web application positions by building competencies in high-demand information technology areas. In addition to teaching students, the MCC Code School will support employers seeking to recruit and grow talent. The program will be housed at the Center for Advanced and Emerging Technology on the Fort Omaha Campus, 32nd Street and Sorensen Parkway. The MCC Code School will prepare students for an Agile work environment and emulate best-practices. Students will be given a job description and will undergo performance evaluations. The MCC Code School’s immersive learning culture will reflect the Agile and other best-practices used by today’s successful organizations. Classes will be held evenings and weekends. Upon completion, students may transfer their certificate to MCC college credit. For more information about the MCC Code School, visit mccneb.edu/codeschool, email corporatetraining@mccneb.edu or call 531-MCC-4943. Ron Brown remembers the boy at the free throw line at the basketball game.